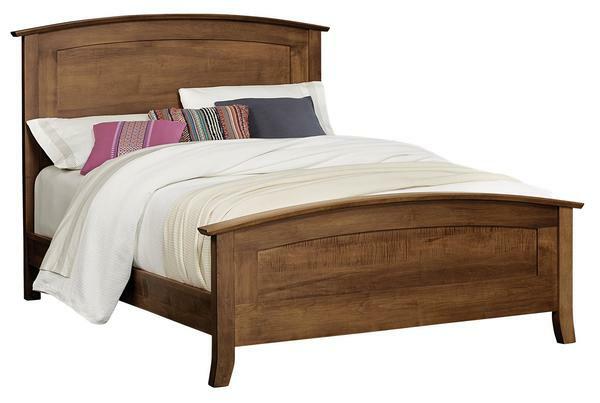 The Amish Laurel Bed comforts, adds style and delivers performance for generations. An Amish bed with mid-century modern style elements, like its smooth, understated framework and sleek curves the Laurel is custom made for your bedroom. The legs are short and add a slight curve that makes the form of this bed all the more interesting. The Amish Laurel Bed can be built as a platform bed as well, with only a mattress needed. Your shopping experience is just as important to us as the custom furniture you select. Choose options online and feel free to ask questions. Send us an email or talk to a friendly Furniture Specialist over the phone. We are happy to assist you and we thank you for shopping with DutchCrafters.